For many entrepreneurs, self-leadership is a constant challenge and an executive coach can help. 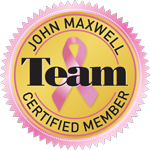 As a company grows, you must continue to grow in your knowledge, expertise and leadership skills. Or, you may function as an intrapreneur within a larger corporation, which requires both the motivation and self-leadership of an entrepreneur along with the skillset to blend well into the corporate structure too. Amy works with both types of entrepreneurs; those sailing their own ship as well as those charting their own course. 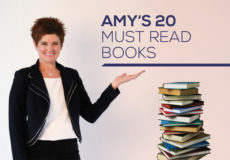 The New or Inexperienced Entrepreneur can benefit from Amy’s own experience as a self-motivated, successful solopreneur as well as her ability to coach with encouragement and business savvy. The Emerging Leader Entrepreneur has worked hard, grown her team and is somewhat successful but feels stuck on a plateau. Amy is excellent at meeting her coaching clients where they are in their journey and taking them to the next level. If you are an entrepreneur and wondering what the Amy Throw Group can do for you, take the Full Circle 7 assessment to find out today.